Popcorn has to be one of my favorite snacks. Its simple to make, whole grain, it fills you up and you can add so many great toppings to it. I am also a huge movie fan so of course I need to have popcorn to go with it. We visit our local Popcornopolis often. Its right across from the kids play area and near the Disney store TVs and couches. I have had many days where I let my son play in the play area, then get some popcorn and sit down on the couches to enjoy a bit of Disney magic on the TV screens. They are simple but precious moments to see my son have cheesy fingers from the Cheddar Cheese popcorn with a smile on his face watching Disney movies. We do the same at home but he seems happier to be enjoying it while we are out around other kids. He tries to share his popcorn sometimes with other kids but mainly he and I enjoy it together. I mainly only purchase the Cheddar Cheese one for my son since its the easiest for him to eat and there is not a lot of toppings for him to have to bite through. But for me I love all the toppings the more goodies on it the better! Thats why I love Popcornopolis! They have the best flavored popcorn I have ever eaten. We used to get the Holiday tins that you can get at the grocery store but they are sub par compare to Popcornopolis popcorn tins. Its like having a candy store that decorates your popcorn at the perfect level. The popcorn is not over whelmed by the toppings but a compliment to the delicious popcorn. For our Holiday Gift guide I was able to try a variety of scrumptious flavors of popcorn packaged in an Old Tyme 5 Cone Popcorn Gift Basket. Three of the five I am already a fan of since I like to try new flavors when we go but two of them it was the first time trying them. Three classic flavors that I like are the Cheddar Cheese, Kettle Corn and Caramel Corn. These are great flavors for any popcorn fan. Who would not love those flavors! When I opened the gift basket those ones were instantly allocated to who gets what. My son the Cheddar Cheese, my husband the Kettle Corn and me the Caramel corn. These are the ones no matter what I am in the mood for. Perfect for movie watching at home too. We of course shared with each other, well except my son! We decided we would invite over my mother in law for a gourmet popcorn taste test. She also enjoyed the 3 classic flavors as we did. Then I put out the White Chocolate Pumpkin Spice and Candy Cane Crunch the oohs and ahhs started. None of us had tried these two flavors before. I have tried a few of the flavors like White Cheddar, Zebra Chocolate and Cinnamon Toast and they are awesome too. I dont think there is a flavor I have tried that I dont like. The White Chocolate Pumpkin Spice is delicious and it taste just like the name. The smoothness of a creamy white chocolate with the nutmeg, cinnamon, pumpkin pie flavor in the back ground. SO good! This flavor is only available in November and December making it even more special. The Candy Cane Crunch for me was epic! I love mint and chocolate combos. My family however did not like it as much as I did. But I said awesome I get the whole cone then! LOL its the same with candy canes they dont like those either. I blame my husbands side of the family for that. Its a perfect holiday popcorn in book. "Salty-sweet Kettle Corn, dark and white chocolate (infused with peppermint), and a dusting of crushed minty-fresh candy canes." Perfection if you ask me! A whole gift basket of flavored gourmet popcorn from Popcornopolis would be a great holiday gift for your own family or to give as a gift. I think the gift box of individual sleeves would go great in a stocking, plus you can have a different flavor for each family member. More and more people are wanting a delicious experience for the holidays rather than socks, a tie or another sweater, get them Popcornopolis instead! If you have a local store near you then get a gift card and make a fun day of popcorn eating out together like my family and I do. If your going to splurge a little let it be on something this tasty! What flavor of Popcornopolis popcorn would you like to try? I would love to try the cheddar cheese. Common I know, but I can't resist cheesy popcorn. I'd love to try the Carmel Corn! Thanks for entering me! I Like on Popcornopolis Facebook (Stacie Dennis Frost). Thanks for entering me! I Follow Popcornopolis on Twitter (@savingmama42). Thanks for entering me! I follow you with GFC (staciefrost). I Thanks for entering me! I tweeted! https://twitter.com/#!/savingmama42/status/145284356926218240 Thanks for entering me! I'd like to try the White Chocolate Pumpkin Spice. Thanks! Oh I think the Rocky Road! Yum! 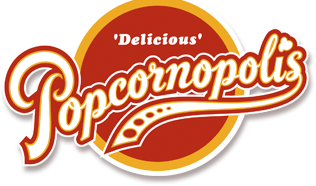 I'm a Popcornopolis newsletter subscriber, coriwestphal at netzero dot com. I'd like the kettle corn. I followed Popcornopolis on twitter. I'd love to try the Chocolate Caramel. I like popcornopolis on Facebook. I'd love to try White Cheddar. I'd love to try ALL of them but I think the one that stands out the most to me would be the Poppa Parmegiana. Mmmm! I like Popcornopolis on Facebook (Andrea Hamilton). I'm following Popcornopolis on twitter (andreacouponz). I subscribed to Popcornopolis Newsletter. They all look so good but I'd probably go for the cheddar cheese. I want to try candy cane crunch. Candy Cane crunch sounds interesting! I would like to try the Chocolate Caramel.